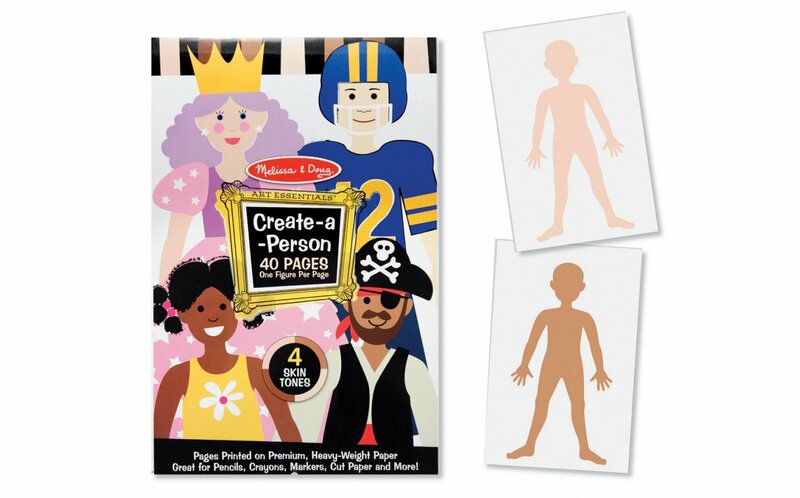 High quality paper with blank figures already designed. Use pencils, crayons, makers, fabric, you name it to create a person. You will find yourself using this pad over and over for many activities in play therapy whether body awareness, emotional expression and more. 28 pages of medium skin tone with 4 pages of 3 other tones. Sized 11"x17".